Boutique recording facilities hidden away in the suburbs of Auckland. 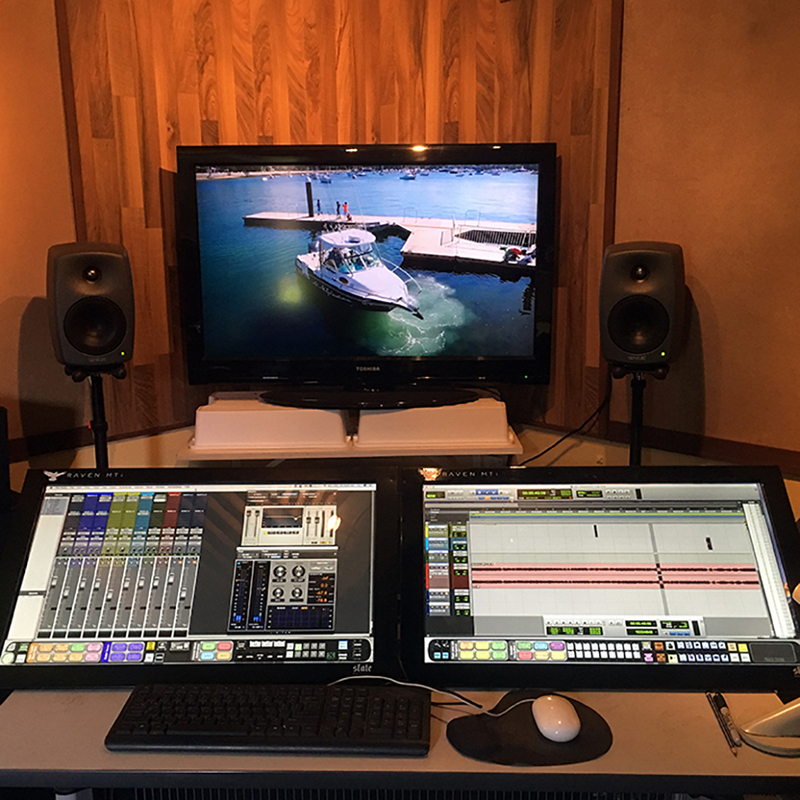 Owner operator Larry Killip has years of experience mixing audio for television or writing producing music for jingles or themes. Turning a musical idea into a finished song for clients is another of Larry’s skills. Small but powerful the studio is ideal for audio post with a typical session including a director and producer plus one or two narrators. All finished broadcast audio is mixed level compliant. Recent TV post mixes include Rally of New Zealand (sports), RV Explorers (lifestyle), Toyota Racing Series (sports). All the best bits: Pro Tools HD with Apogee audio interface, Slate Raven MTi touch control. Microphones include Neumann, RCA DX77, Ribbon, Beyer, Naked Eye Ribbon, Shure, RCA BK5 Ribbons (pair), and many many more. Reverbs include a real EMT140 valve plate along with a plethora of plugins to suit. Hardware compressors include TL Audio and Audio & Design F760X. Microphone pre’s Golden Age Pre73, and Presonus ADL600. Monitoring by Genelec.